In 2017, Latin America retained the ignominious distinction of having the most cities on Mexico’s Citizens’ Council for Public Security’s annual ranking of the world’s most violent cities. 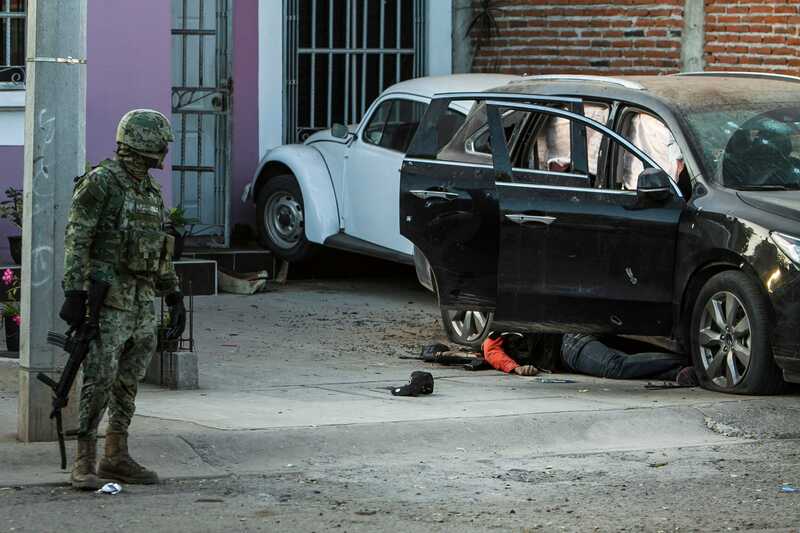 The region’s violence is in large part driven by drug trafficking and organised crime – in Mexico,fragmentation of criminal groups has stoked more bloodshed in recent months. Insecurity is also exacerbated by political instability,poverty, and poor economic conditions. Corruption, abuses by officials, and impunity also facilitate crime. In Venezuela, for example, the government has not consistently released homicide data (though it did for 2016), and in the past the Council has estimated based on entries at the Bello Monte morgue, which draws from an area larger than Caracas and doesn’t only include homicides. The Council was also unable to gather 2017 full-year data for the city, leading it to calculate last year’s tally based on previous estimates. Two other cities in Venezuela were excluded from this year’s ranking because there was no reliable homicide data for them. 50. Cucuta, Colombia, had 34.78 homicides per 100,000 residents. In 2017, Cucuta had a population of 833,743 people and 290 homicides. 49. Vitoria, Brazil, had 36.07 homicides per 100,000 residents. In 2017, Vitoria had a population of 1,960,213 people and 707 homicides. 48. Teresina, Brazil, had 37.05 homicides per 100,000 residents. In 2017, Teresina had a population of 850,198 people and 315 homicides. 47. Campina Grande, Brazil, had 37.29 homicides per 100,000 residents. In 2017, Campina Grande had a population of 410,332 people and 153 homicides. 46. Nelson Mandela Bay, South Africa, had 37.53 homicides per 100,000 residents. (AP Photo/Emilio Morenatti)Police officers ride their horses toward a man sitting in a park in Port Elizabeth, in South Africa’s Nelson Mandela municipality, June 23, 2010. In 2017, Nelson Mandela Bay had a population of 1,263,051 people and 474 homicides. 45. Campos dos Goytacazes, Brazil, had 37.53 homicides per 100,000 residents. In 2017, Campos dos Goytacazes had a population of 490,288 people and 184 homicides. 44. Durban, South Africa, had 38.12 homicides per 100,000 residents. In 2017, Durban had a population of 3,661,911 population and 1,396 homicides. 43. Mazatlan, Mexico, had 39.32 homicides per 100,000 residents. In 2017, Mazatlan had a population of 488,281 people and 192 homicides. 42. Detroit had 39.69 homicides per 100,000 residents. In 2017, Detroit had a population of 672,795 people and 267 homicides. 41. New Orleans had 40.10 homicides per 100,000 residents. In 2017, New Orleans had a population of 391,495 people and 157 homicides. 40. 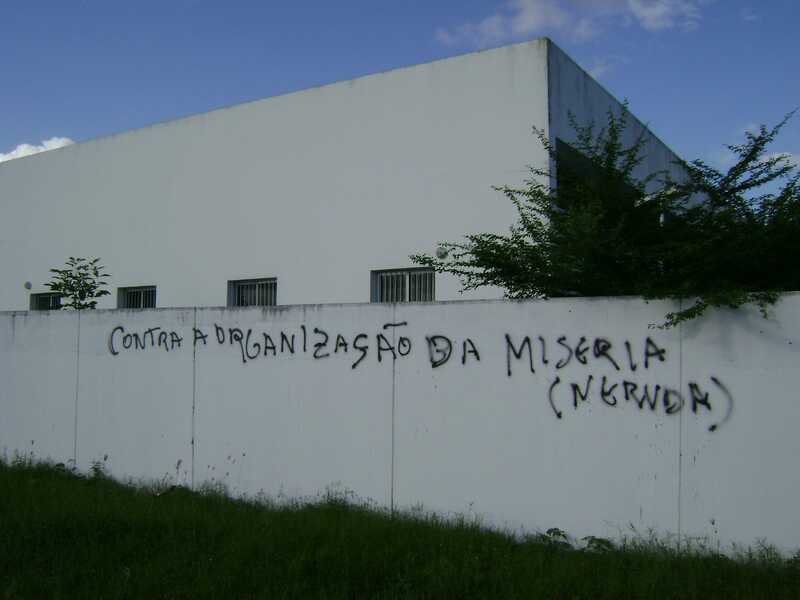 Macapa, Brazil, had 40.24 homicides per 100,000 residents. In 2017, Macapa had a population of 474,706 people and 191 homicides. 39. 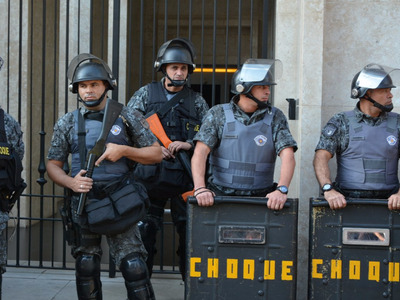 Porto Alegre, Brazil, had 40.96 homicides per 100,000 residents. In 2017, Porto Alegre had a population of 4,268,083 people and 1,748 homicides. 38. 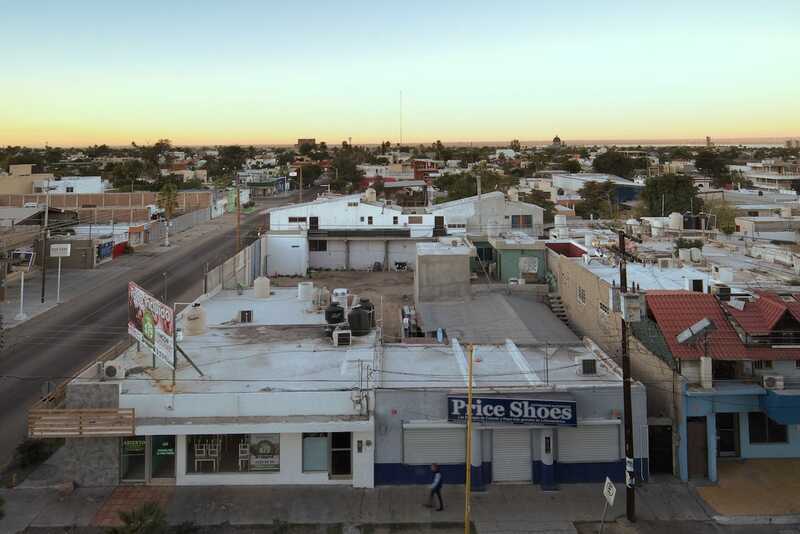 Reynosa, Mexico, had 41.95 homicides per 100,000 residents. In 2017, Reynosa had a population of 701,525 people and 294 homicides. 37. Palmira, Colombia, had 46.65 homicides per 100,000 residents. In 2017, Palmira had a population of 308,669 people and 144 homicides. 36. Tepic, Mexico, had 47.09 homicides per 100,000 residents. 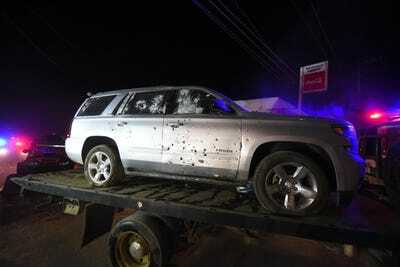 (AP Photo/Chris Arias)A bullet-ridden SUV after a gun battle in which a man identified as head of the Beltran Leyva drug cartel and several accomplices were killed by Mexican marines, in Tepic, Nayarit, Mexico, February 10, 2017. In 2017, Tepic had a population of 503,330 people and 237 homicides. 35. Distrito Central, Honduras, had 48 homicides per 100,000 residents. In 2017, Distrito Central had a population of 1,224,897 people and 588 homicides. 34. Manaus, Brazil, had 48.07 homicides per 100,000 residents. In 2017, Manaus had a population of 2,130,264 people and 1,024 homicides. 33. Barquisimeto, Venezuela, had 48.23 homicides per 100,000 residents. In 2017, Barquisimeto had a population of 1,335,348 people and 644 homicides. 32. San Juan, Puerto Rico, had 48.70 homicides per 100,000 residents. In 2017, San Juan had a population of 347,052 people and 169 homicides. 31. Ciudad Obregón, Mexico, had 48.96 homicides per 100,000 residents. In 2017, Ciudad Obregon had a population of 339,000 people and 166 homicides. 30. João Pessoa, Brazil, had 49.17 homicides per 100,000 residents. Flickr/Ben TavenerAuthorities in João Pessoa, Brazil. In 2017, João Pessoa had a population of 1,126,613 people and 554 homicides. 29. Chihuahua, Mexico, had 49.48 homicides per 100,000 residents. In 2017, Chihuahua had a population of 929,884 people and 460 homicides. 28. Cali, Colombia, had 49.59 homicides per 100,000 residents. In 2017, Cali had a population of 2,542,876 people and 1,261 homicides. 27. Valencia, Venezuela, had 49.74 homicides per 100,000 residents. In 2017, Valencia had a population of 1,576,071 people and 784 homicides. 26. San Pedro Sula, Honduras, had 51.18 homicides per 100,000 residents. In 2017, San Pedro Sula had a population of 765,864 people and 392 homicides. 25. Salvador, Brazil, had 51.58 homicides per 100,000 residents. In 2017, Salvador had a population of 4,015,205 people and 2,071 homicides. 24. Guatemala City, Guatemala, had 53.49 homicides per 100,000 residents. In 2017, Guatemala City had a population of 3,187,293 people and 1,705 homicides. 23. Maturin, Venezuela, had 54.43 homicides per 100,000 residents. 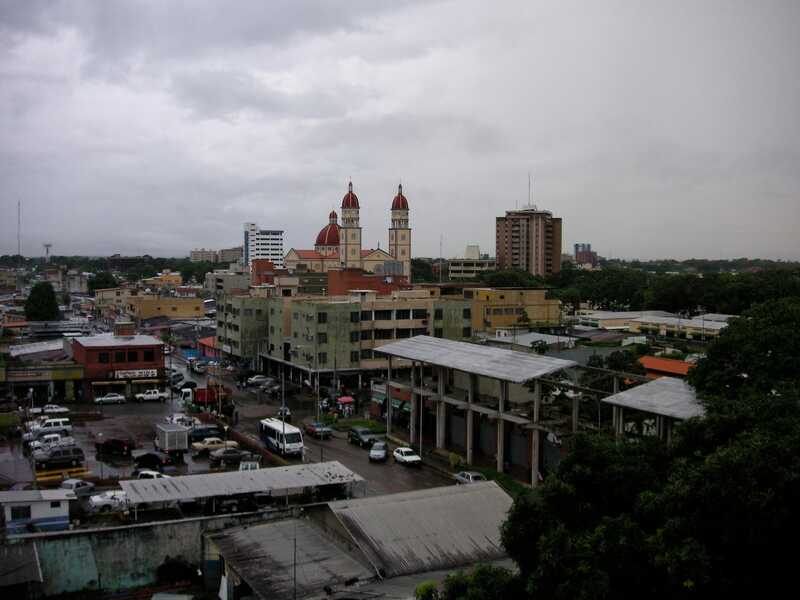 BLMurch/FlickrThe skyline in Maturin, Venezuela, with the cathedral in the background. In 2017, Maturin had a population of 600,722 people and 327 homicides. 22. Recife, Brazil, had 54.96 homicides per 100,000 residents. In 2017, Recife had a population of 3,965,699 people and 2,180 homicides. 21. Baltimore had 55.48 homicides per 100,000 residents. In 2017, Baltimore had a population of 614,664 people and 341 homicides. 20. 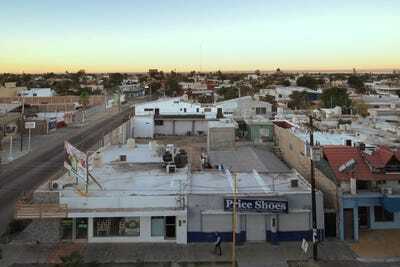 Ciudad Juarez, Mexico, had 56.16 homicides per 100,000. In 2017, Ciudad Juarez had a population of 1,448,859 people and 814 homicides. 19. Feira de Santana, Brazil, had 58.81 homicides per 100,000 residents. Andrevruas/Wikimedia CommonsThe phrase ‘against the organisation of misery,’ a reference to the work of Pablo Neruda, written on a wall in Feira de Santana, Brazil. In 2017, Feira de Santana had a population of 627,477 people and 369 homicides. 18. Aracaju, Brazil, had 58.88 homicides per 100,000 residents. In 2017, Aracaju had a population of 951,073 people and 560 homicides. 17. San Salvador, El Salvador, had 59.06 homicides per 100,000 residents. In 2017, San Salvador had a population of 1,789,588 people and 1,057 homicides. 16. Kingston, Jamaica, had 59.71 homicides per 100,000 residents. In 2017, Kingston had a population of 1,180,771 people and 705 homicides. 15. 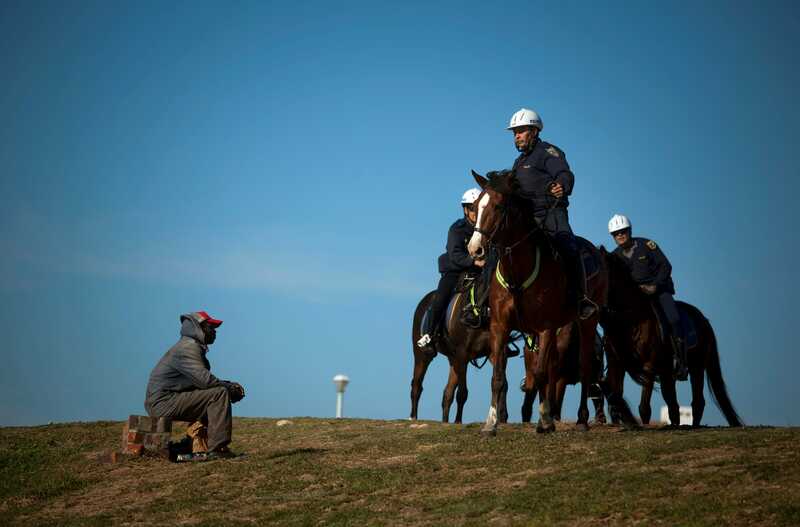 Cape Town, South Africa, had 62.25 homicides per 100,000 residents. In 2017, Cape Town had a population of 4,004,793 people and 2,493. 14. Maceio, Brazil, had 63.94 homicides per 100,000 residents. In 2017, Maceio had a population of 1,029,129 people and 658 homicides. 13. St. Louis had 65.83 homicides per 100,000 residents. In 2017, St. Louis had a population of 311,404 people and 205 homicides. 12. Culiacan, Mexico, had 70.10 homicides per 100,000 residents. (AP Photo/Rashide Frias)A Mexican marine looks at the body of a gunman next to a vehicle after a gun fight in Culiacan, Mexico, February 7, 2017. In 2017, Culiacan had a population of 957,613 people and 671 homicides. 11. Vitoria da Conquista, Brazil, had 70.26 homicides per 100,000 residents. JP Negri/Wikimedia CommonsVitória da Conquista, seen at night in 2012. In 2017, Vitoria da Conquista had a population of 348,718 people and 245 homicides. 10. Belem, Brazil, had 71.38 homicides per 100,000 residents. In 2017, Belem had a population of 2,441,761 people and 1,743 homicides. 9. Ciudad Guayana, Venezuela, had 80.28 homicides per 100,000 residents. In 2017, Ciudad Guayana had a population of 906,879 people and 728 homicides. 8. Ciudad Victoria, Mexico, had 83.32 homicides per 100,000 residents. In 2017, Ciudad Victoria had a population of 361,078 people and 301 homicides. 7. 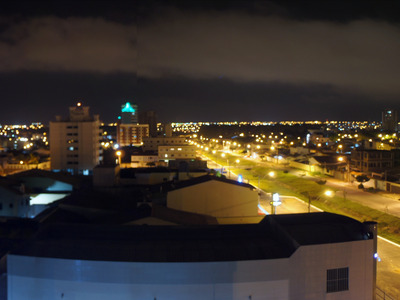 Fortaleza, Brazil, had 83.48 homicides per 100,000 residents. In 2017, Fortaleza had a population of 3,917,279 people and 3,270 homicides. 6. La Paz, Mexico, had 84.79 homicides per 100,000 residents. Cvmontuy/Wikimedia CommonsLa Paz, the capital of Baja California Sur state in northwest Mexico, February 8, 2017. In 2017, La Paz had a population of 305,455 people and 259 homicides. 5. Tijuana, Mexico, had 100.77 homicides per 100,000 residents. In 2017, Tijuana had a population of 1,882,492 people and 1,897 homicides. 4. Natal, Brazil, had 102.56 homicides per 100,000 residents. In 2017, Natal had a population of 1,343,573 people and 1,378 homicides. 3. Acapulco, Mexico, had 106.63 homicides per 100,000 residents. In 2017, Acapulco had a population of 853,646 people and 910 homicides. 2. Caracas, Venezuela, had 111.19 homicides per 100,000 residents. In 2017, Caracas had a population of 3,046,104 people and 3,387 homicides. 1. Los Cabos, Mexico, had 111.33 homicides per 100,000 residents. In 2017, Los Cabos had a population of 328,245 people and 365 homicides.